Offering you a complete choice of products which include citric acid, grease remover, grease cleaning chemicals, degreasing compounds, degreasing chemicals and degreasing agents. Citric Acid is a weak natured organic acid having the formula as C6H8O7. Citric Acid is a natural preservative which is found in citrus fruits and is also used to add a sour taste to food and drinks. It is commonly used as an acidifier, a chelating agent and a descaler. The products which Chemtex caters under Citric Acid are Citric Acid Descaler and Citric Acid Inhibitor. 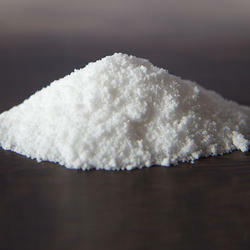 The dominant use of citric acid is as a preservative and flavoring agent in food and beverages, especially soft drinks. 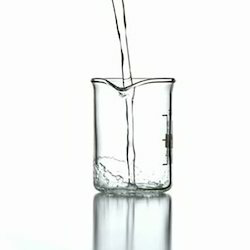 The buffering properties of citrates are used for the controlling of pH in household cleaners and pharmaceuticals. 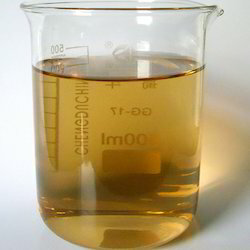 The product serves as an excellent chelating agent, binding metals. It is used for the removal of lime scale from boilers and evaporators. It can also be used for softening of water, which makes it useful in soaps and laundry detergents. By chelating the metals in hard water, it lets these cleaners produce foam and work better without need for water softening. 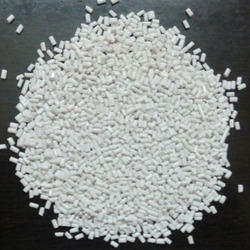 Chemtex Speciality Limited is an ISO 9001, ISO 14001 and OHSAS 18001 certified manufacturer and supplier of Citric Acid. We have been in this field of chemicals for over a period of 40 years and we will continue to extend our services towards enriching the circadian operations of other industrial sectors. Grease Remover appears to be a magnificent choice for cleaning substantial, ferrous, non-ferrous and light metals for cleaning of contaminants, for example, oil and oil that are ordinarily found in the assembling procedure of metal components. Degreasers are additionally suited for the cleaning of auto motors, hardware, oil tanks and solid floors and particularly for seaward applications.CHEMTEX'S Grease Remover is a highly effective blend of stabilized vaporizing solvents for degreasing and removal of carbon, moisture, dirt and oil. Degreasers are additionally suited for the cleaning of auto motors, hardware, oil tanks and solid floors and particularly for seaward applications. CHEMTEX'S Grease Remover is a better substitute to petrol and diesel for cleaning of grease.CHEMTEX'S Grease Remover is a solvent based degreaser and is an excellent choice for cleaning and degreasing of various equipments and components. It is compatible with most of the components such as seals, o-rings etc.CHEMTEX'S Degreaser effectively cleans contaminants, achieving a clean dry surface free from impurities and residue. It is completely volatile or vaporizing in nature. Grease Cleaning Chemical serves as a concentrated, exceedingly emulsifying and rapidly de-emulsifying, dissolvable degreaser for aiding in the expulsion of oil, tar and oil securely and rapidly. Grease Cleaning Chemical appears to be a magnificent choice for cleaning substantial, ferrous, non-ferrous and light metals for cleaning of contaminants, for example, oil and oil that are ordinarily found in the assembling procedure of metal components. Grease Cleaning Chemical is additionally suited for the cleaning of auto motors, hardware, oil tanks and solid floors and particularly for seaward applications. Degreasing Compounds serve as a highly emulsifying and quickly de-emulsifying, concentrated solvent degreaser for helping in the removal of grease, tar and oil quickly and safely. Degreasing Compounds come off as an excellent choice for cleaning heavy, ferrous and non-ferrous and light metals for cleaning of contaminants such as oil and grease that are commonly found in the manufacturing process of metal components. Degreasing Compounds are also suited for the cleaning of car engines, oil tanks, machinery, and concrete floors and especially for off-shore applications. Degreasing Chemicals serve as highly emulsifying and quickly de-emulsifying, concentrated solvent degreaser for helping in the removal of grease, tar and oil quickly and safely. Degreasing Chemicals come off as an excellent choice for cleaning heavy, ferrous and non-ferrous and light metals for cleaning of contaminants such as oil and grease that are commonly found in the manufacturing process of metal components. Degreasing Chemicals are also suited for the cleaning of car engines, oil tanks, machinery, and concrete floors and especially for off-shore applications. Degreasing Agents serve as highly emulsifying and quickly de-emulsifying, concentrated solvent degreaser for helping in the removal of grease, tar and oil quickly and safely. Degreasing Agents come off as an excellent choice for cleaning heavy, ferrous and non-ferrous and light metals for cleaning of contaminants such as oil and grease that are commonly found in the manufacturing process of metal components. Degreasing Chemicals are also suited for the cleaning of car engines, oil tanks, machinery, and concrete floors and especially for off-shore applications. 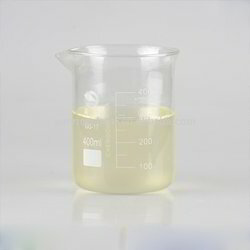 Chemtex manufactured product Carbon tetrachloride, also known as carbon tet in the cleaning industry, is regarded as the inorganic compound with the chemical formula CCl4. 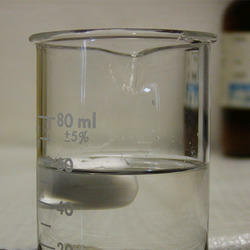 It is a colourless liquid with a sweet smell that can be detected at low levels. 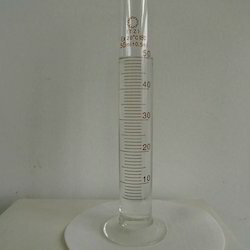 Carbon tetrachloride is widely used as a dry cleaning solvent, as a refrigerant, and in lava lamps. 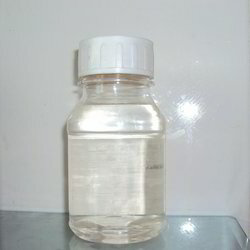 It is not flammable and does not dissolve in water very easily. Grease Remover appears to be a magnificent choice for cleaning substantial, ferrous, non-ferrous and light metals for cleaning of contaminants, for example, oil and oil that are ordinarily found in the assembling procedure of metal components. Degreasers are additionally suited for the cleaning of auto motors, hardware, oil tanks and solid floors and particularly for seaward applications. CHEMTEX'S Grease Remover is a highly effective blend of stabilized vaporizing solvents for degreasing and removal of carbon, moisture, dirt and oil. Degreasers are additionally suited for the cleaning of auto motors, hardware, oil tanks and solid floors and particularly for seaward applications. CHEMTEX'S Grease Remover is a better substitute to petrol and diesel for cleaning of grease. CHEMTEX'S Grease Remover is a solvent based degreaser and is an excellent choice for cleaning and degreasing of various equipments and components. It is compatible with most of the components such as seals, o-rings etc. CHEMTEX'S Degreaser effectively cleans contaminants, achieving a clean dry surface free from impurities and residue. It is completely volatile or vaporizing in nature. 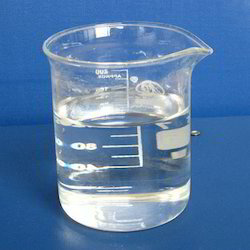 Trichloro Ethylene serves as a stabilized vaporizing metal degreaser compound thatis formulated based on volatile solvent for use in various applications. It is a superlative choice for cleaning of heavy or light, ferrous and non-ferrous metals and remove contaminants such as oil and grease that are commonly found in the manufacturing process of metal components. These contaminants get deposited on crevices, metal surfaces, and other difficult to reach areas. For further processing, it is essential for achieving a clean dry surface free from impurities. Chemtex Speciality Limited offered product Trichloro Ethylene finds use in various industries including the engineering industries, heat-treatment plants, cable manufacture, precious metal coating, gas manufacturing plant, refrigerant line cleaning, cleaning of delicate instruments and the operation and maintenance (o&m) sector etc. Chemtex Speciality Limited manufactured product Descaling Chemical accounts for superior protection to industrial equipments from scaling. Descaling Chemical is more of a broader term and it may include application directed products such as Silica Scale Remover, Heat Exchanger Descalant, High Silica Descalant, Condenser Descalant, and Passivation Chemicals. This high end mineral acid based descaling chemical has been meticulously designed by utilizing superior quality inhibitors and non-intrusive technology. The scaling gets developed on the wall of equipments due to untreated water, which can be removed by the usage of descaling chemicals easily. The properties which make the descaling chemical, highly admirable in the market, are removal of rust & scales, ease of usage, suitability for high & low pressure boilers, precise pH value, and excellent protection from tube failures. The chemicals are infact suitable for de-scaling the equipments utilized in pharmaceuticals, oil refineries, power plants, food industries and beverage industries. 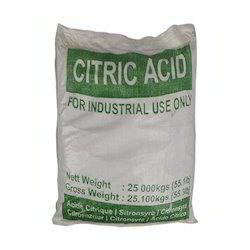 Chemtex manufactured product Inhibited Citric Acid serves as a well formulated scale remover and cleaners utilized as a part of industrial divisions. Cleaning should be possible either mechanically or with the utilization of chemicals. Mechanical cleaning takes a lot of downtime and does not generally get all the scale out. Inhibited Citric Acid is most dependable in such cases. It is suitable for cleaning metals without over the top corrosion. It is specifically amalgamated with wetting agents and citric acid which in turn acts as rust remover for the several industrial set ups, for example, boiler, heat exchangers tubes and so forth. Chemtex manufactured product Scale Removers are acid based chemicals that comprise of wetting agents, corrosion inhibitors, and surface tension reducing agents. The chemical product is effectively suited for the removal of magnesium salts, calcium carbonate and as well as helps in the removal of ferrous oxides from metal surfaces. The inhibitor package available in the product help in the prevention of attack of the base metal after solution of heat exchanger deposits is complete. Scale Removers function quickly and effectively even in hard conditions without heating. Scale Remover is recommended for descaling boilers, condensers, evaporators, heaters and coolers. It may also be applied for scale removal from steam pipes and air conditioners. CHEMTEX'S Boiler Online Descaling Agent is a unique formulation of organic and inorganic sequestrants with dispersants designed to keep the boiler internals free from scales that are formed during operation. Chemtex’s Online Descaling Agent removes iron, calcium, magnesium scaes during normal boiler operations hence the name Online Boiler Descalant. Washing Machines are prone to scale deposits of metal compounds such as magnesium and calcium found in water with every wash. These scale deposits reduces cleaning efficiency and hampers longevity. Chemtex's Washing Machne Descalant acts instantly on scale deposits and leaves machine drum sparkling clean. This product is biodegradable and appliance friendly. Looking for Descaling Chemicals ?